I simply love to decoupage all things, including glass bottles. 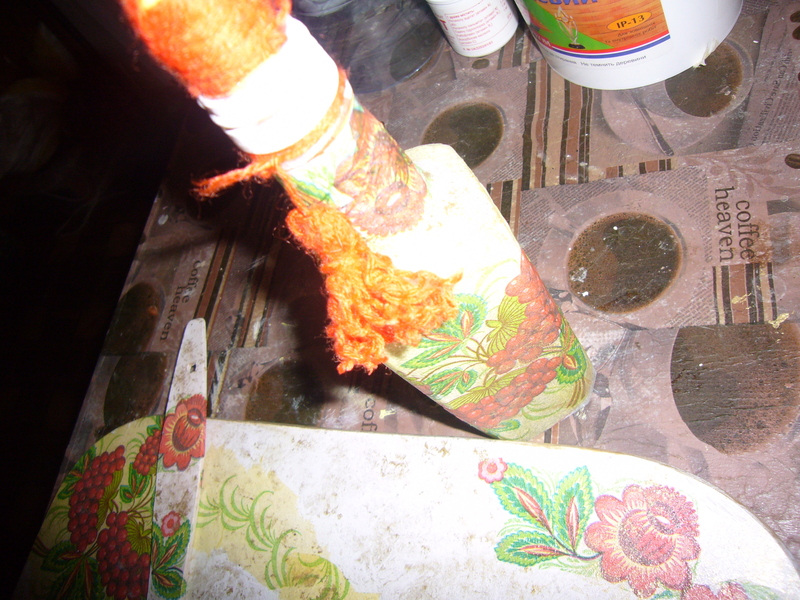 Decoupage is a very easy way to turn glass bottles into great decor items for your home or even into gift items. 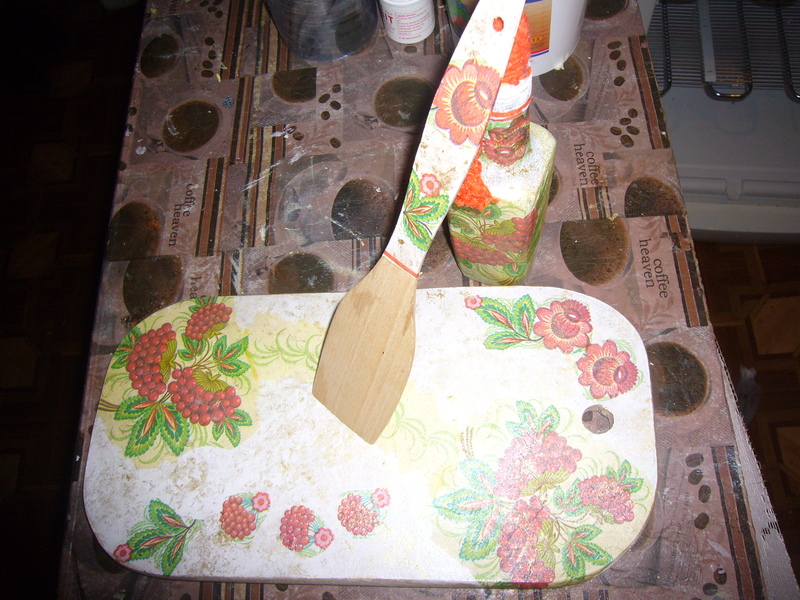 Here is another one of my decoupage projects, glass bottle and bread board set decoupage. I used may rose flower napkin to decoupage this set. This tree is one of the folk national symbols of Ukraine. As usual, I have repainted the bottle before decoupaging it. I did not have a lid for it, so I made one using a foam sponge and red yarn. I add it a touch of gold by applying some gold paint with a piece of napkin. It did not take me more than an hour to finish up this decoupage set. 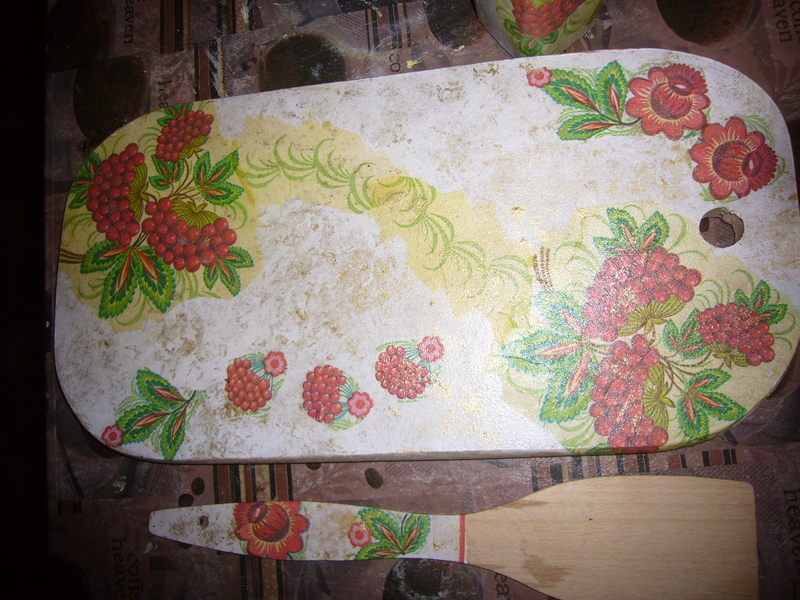 This entry was posted in Crafting Tutorials, Decoupage ideas, Uncategorized and tagged crafts, creativity, decoupage, decoupage how to, decoupage step by step, decoupage tips, DIY, gift ideas, gift set decoupage, glass and wood decoupage, handmade, handmade gifts, home decor, home design, mom help, upcycling, wood decoupage. Bookmark the permalink. It’s a shame you don’t have a donate button! I’d most certainly donate to this outstanding blog! I suppose for now i’ll settle for bookmarking and adding your RSS feed to my Google account.